Brilliance’s Curved Diamond Bangle Bracelet in white gold offers an unexpected twist for those who like their jewelry unique yet classy. A gently curving 14K white gold band features sixteen graduated round cut diamonds in a sturdy prong setting. The diamonds weigh approximately two carats total, and beautifully follow the contour of the white gold band. 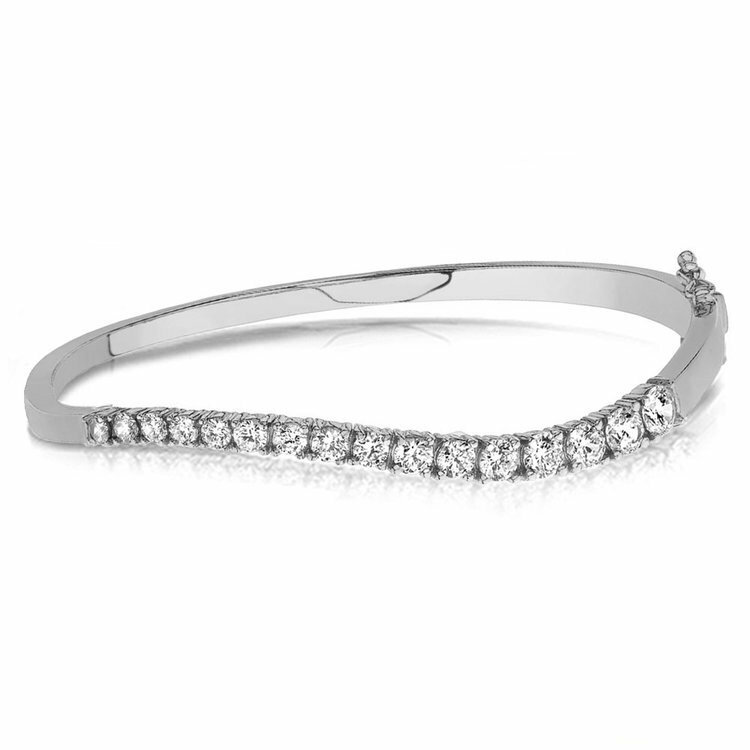 Perfect for casual and semi-formal affairs, let this bangle complement your outfit in a fun yet elegant manner.